Each year the Chamber of Commerce chooses categories to recognize with input from our community. It’s your chance to tell us who provides you with the experience, service, or dish you find outstanding! 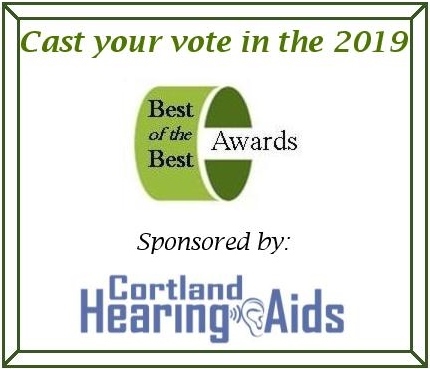 Voting will continue on our web site until June 3rd, then on June 26th we’ll announce the winners at a special Business After Hours event to be held at the Best of the Best Sponsor: Cortland Hearing Aids! Our Chamber members do so much to contribute to our community and this is one small way to recognize them for their efforts. If you don’t see your favorites on our list, ask them why. We’re happy to work to promote them and get them added.